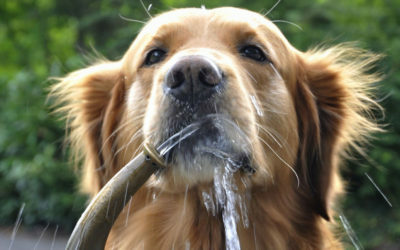 Good oral hygiene is as important for your pet as it is for you. 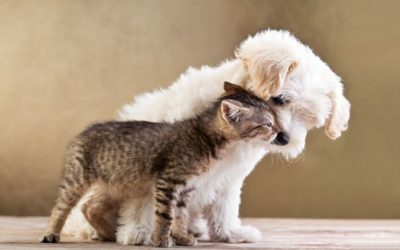 Even though dental technology for pets has grown exponentially, allowing your pet virtually all of the dental care you receive, avoiding problems is clearly the better path to save your pet unnecessary pain and suffering, as well as to avoid the inconvenience and cost of examinations and treatment. A dental exam is part of your pet’s annual wellness visit; regular dental visits are the best thing you can do to keep your pet’s teeth and gums healthy. Frequency varies depending on the age of your pet; remember that animals have a much shorter lifespan than humans and so a lot can happen in a year. The mouth should be examined by your veterinarian immediately upon acquiring your new pet and at every vaccination appointment up to four months of age. A dental exam should be performed again at six months of age. It is important to assess your pet’s bite as well as his/her overall oral health. Bite abnormalities can sometimes be corrected by orthodontics before six months of age. At this age, unless you notice problems or your veterinarian has developed a custom exam program due to special circumstances, dental exams should be done annually. If your pet has perfect teeth and you brush them daily, annual exams may suffice, but many pets in this age range require exams every six months. It is better to have more frequent examinations done and get a clean report card as opposed to finding potentially painful problems later. Toothaches are painful for animals, just like humans, but your pet won’t be able to tell you that it hurts. Dental examinations should be performed every six months when your pet is seven years of age or older. This is the single most important part of oral care and cannot be over-emphasized. If your pet will allow it, you should brush her teeth daily. It is best to start early since most dogs will allow brushing if you start when they are very small. Use pet-specific toothpaste (human toothpaste contains abrasives and foaming detergents that unsafe for animals), as well as a tooth brush or finger brush designed for your pet. Chlorhexidine is an effective anti-plaque antiseptic that binds to the oral tissues and tooth surfaces and is gradually released into the oral cavity. It is safe for both cats and dogs. Some animals may object to the taste, while others accept it without difficulty; palatability enhancers can be used to help with application. Specially formulated pet foods have been developed to enhance oral care by their abrasive action. Scientific studies have proven that these special diets are beneficial in maintaining oral health. Consult with your veterinarian to see if these would be appropriate for your pet. There are numerous chew products available that may be helpful, however it is best to consult with your vet to be sure you choose the right product. The most common problem treated in small animal health clinics today is periodontal disease. According to the American Veterinary Dental Society (AVDS), 80 percent of cats and dogs show evidence of periodontal disease by age 3. Buildup of bacteria on your pet’s teeth causes plaque which turns to tartar through additional bacteria build-up from saliva. Tartar above the gumline is obvious and should be treated to avoid more the more serious problem of ‘sub-gingival’ plaque, which occurs under the gum line. Animals will most often need to be put under anesthesia to evaluate this situation. Periodontal disease is irreversible and can cause chronic pain and tooth lose; it is also linked to disease in other organs such as the heart, liver, and kidneys. Another common dental problem gingivitis, which is an inflammation of the gums most commonly caused by the accumulation of food particles in the crevices between the gums and the teeth. If gingivitis is not treated, it may lead to periodontitis. In dogs, a broken tooth is usually caused by aggressive chewing on hard objects. Cats often suffer a broken tooth from trauma, such as jumping down from heights. A trip to the vet is necessary to evaluate the extent of the damage and may include radiology to properly diagnose and treat a fractured tooth. The basics of an annual wellness exam. To help ensure acurate results. 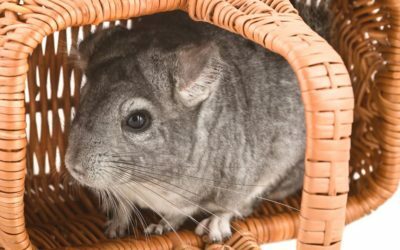 An adorable pet for the right household.